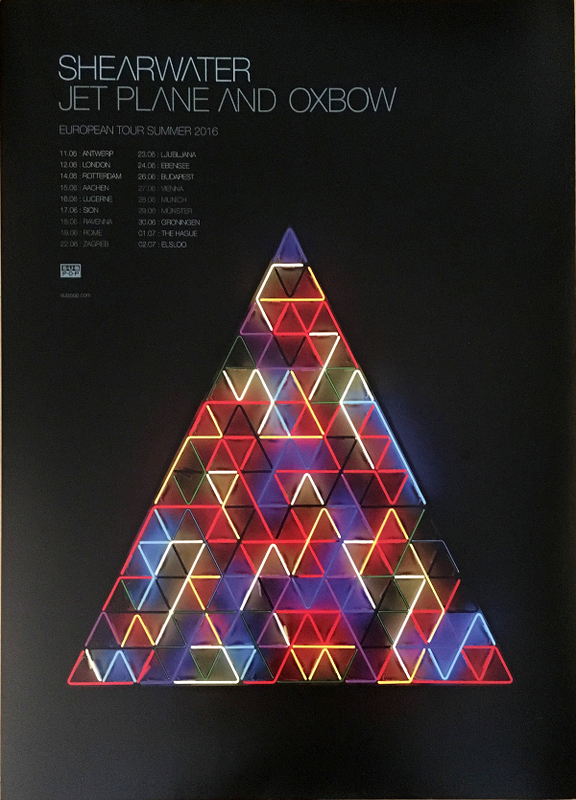 We have some lovely 2016 Jet Plane & Oxbow European tour posters, autographed by JM, for sale. A purchase also entitles you to a Bandcamp download code for a 26-minute-long, work-in-progress, unmastered excerpt of Safe Houses. (For the uninitiated, Safe Houses is an instrumental reworking of Jet Plane and Oxbow by our producer Danny Reisch.) It’s a great listen even in its currently unfinished state.